Stephen O' Brien has rapidly become one of Irelands most in demand drummers. 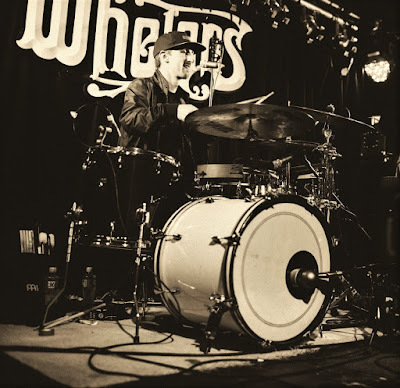 He plays on a full time basis with pop soul Artist BRIAN DEADY, he regularly performs with Voiceworks Studio (Vocal Tuition Centre) as part of their house band, Wedding band The Stars, Soul Driven, Ian O' Doherty and was the drummer for well known original funk outfit Jericho + many many more. He has played at many of Ireland's and Europe's leading music festivals including Electric Picnic, 3 Arena(Christmas Ball), Longitude, Forbidden Fruit Festival, Body and Soul, Sea Sessions, Mitchelstown Indiependence, Eurosonic Noorderslag Festival, Wilderness Festival UK, Great Escape Festival(Brighton), Latitude Festival UK, Live At Leeds and recently played the Barbican London as part of the Imagining Ireland gig. Steve has played support to Chic, The Rubber Bandits, Billy Ocean, Omar, José James, Lee Fields, Beardyman and Ham Sandwich to name a few. Steve has also shared the stage with Artists such as Kendrick Lamar, The Lumineers, Kodaline, BellX1, Picture This and Walking On Cars. Steve has played on many national radio stations including RTE Radio 1, NewsTalk, 2 FM, Today FM, Red FM and 96 FM and has made TV appearances including RTE's The Late Late Show. He is due to tour Ireland with BRIAN DEADY in 2018, Check WWW.BRIANDEADY.COM for dates.